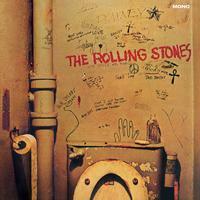 Beggars Banquet changed everything for the Rolling Stones. From the manner in which it was recorded to the track selection, a mixture of rockers (Street Fighting Man), blues numbers (Prodigal Son, No Expectations) and ballads (Salt Of The Earth), the band truly came into its own and the Stones’s music of subsequent decades is a reflection of what happened in that studio in 1968, when the band members reached musical maturity. The album also marks a change in musical direction with the debut of producer Jimmy Miller, who would continue to collaborate with the band on Let It Bleed, Sticky Fingers, Exile On Main St. and Goats Head Soup. This Mono remaster takes the classic Stones record and places it in the hard-hitting context of the early days of rock and roll. Keith Richards sums it up: "Those old [Stones] records were meant to be heard in mono, with the sound all squashed into one speaker." There was an art to mono that still can't be beaten.